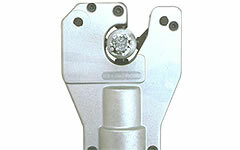 UC-6B Hydraulic Compression Tools: Izumi Products. 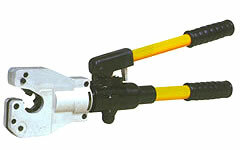 The UC-6B dieless compression tool was designed to install Anderson type connectors up to 500MCM. Three moveable indenting nibs push connectors against the top fixed nib. As a result, four indentations are made into the connector. This tool will be supplied as the insulated version unless otherwise requested on ordering.